HTC promised last week that unlocked One M8 Developer Edition handsets were about to get an Android 4.4.3 KitKat upgrade, and owners will be pleased to know that the software began its rollout this weekend. This is the last major update the One M8 will receive before Android L, so you'd better savor every moment of the install process. Unfortunately, it's not a groundbreaking release, and it doesn't contain any new features — but it is an important one. Although it is labeled Android 4.4.3, it actually delivers all of the important security fixes that Google provided in its latest Android 4.4.4 release as well. Don't be tempted to ignore it when you see that there isn't much in its release notes, then. The update weighs in at a whopping 592MB, and it comes with build number "2.22.1540.3." This is pretty much the same release that regular One M8 owners received several weeks ago, and it will almost certainly be the last KitKat release that HTC's current flagship receives. Its next upgrade will be Android L. Google will make the software available to the public this fall, and as usual, it will reach Nexus devices first. 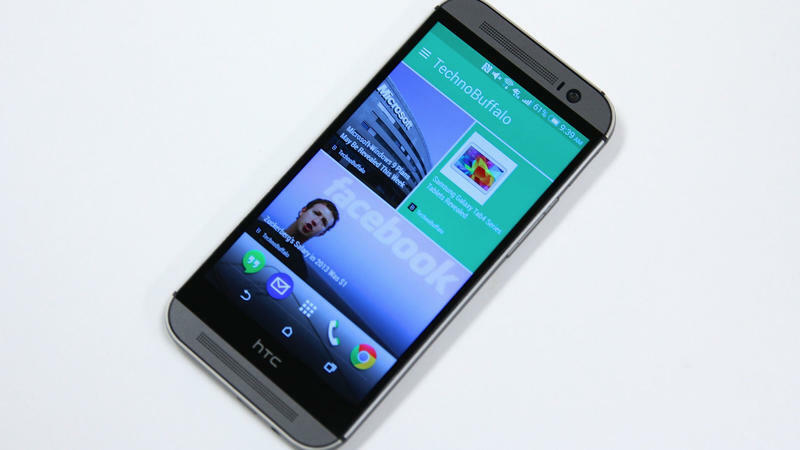 A number of third-party handset makers have promised to deliver speedy updates, however, and HTC is one of them — so you can expect to see Android L on your HTC One within 90 days of its release.